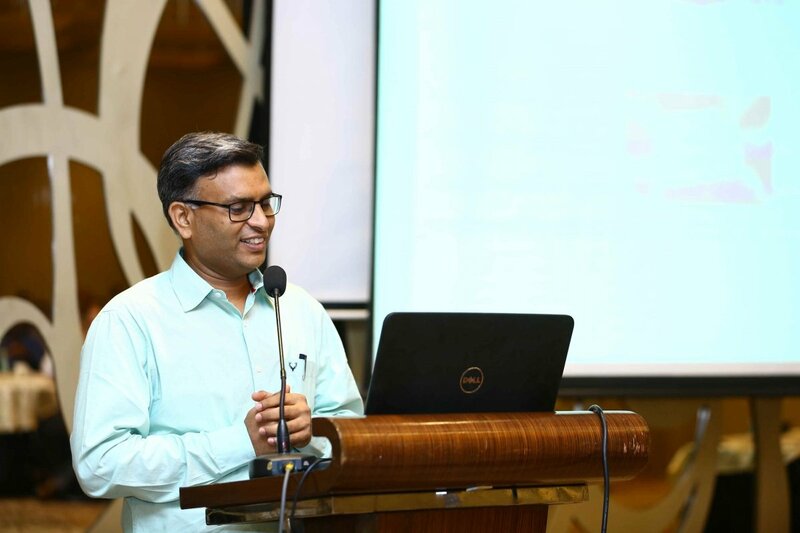 Exclusive Interview of IAS Pankaj Kumar Bansal, MD, Chennai Metro Rail Ltd.
Home Metro Rail Projects Chennai Metro Exclusive Interview of IAS Pankaj Kumar Bansal, MD, Chennai Metro Rail Ltd. Recently, Metro Rail News has conducted an interview with IAS Pankaj Kumar Bansal, Managing Director of Chennai Metro Rail Limited. In 2013, Mr. Pankaj Kumar Bansal took over the charge of Chennai Metro as Managing Director, he wondered why platforms of 240 meters needed to be constructed when the train required only 140 to 145 meters to park at the station. He is the 1997 batch IAS officer, ensured that in two years, his team came up with a ‘Yes, We Can’ answer to his 145 meter challenge, arguably “for the first time in the world.” Two key lines were flagged off recently, with passengers now able to travel from Chennai Central to the Airport, with a frequency of a train every 5 minutes, likely to go up to one every two and a half minutes, at just seventy rupees. Here are excerpts from the interview. How long will the project take to complete and what sort of arrangements have been made to ensure commuters do not face any hurdle during the construction work? It will take minimum 6-8 years to complete the project from the day of the signing of a contract with the multilateral agency. Traffic management plan will be implemented at the workplace to ensure the commuters safety. The main aim is to relieve, wherever possible, or minimize the (short-term) disruption to normal traffic likely to be caused by the construction of the metro works. Chennai Metro Rail Limited is all set to start work on build the ambitious 107.55 km under phase-2. It has issued a notice to property owners on this stretch. Is the process of acquiring land going on smoothly or facing hiccups akin to that faced by Maha-Metro? The process of acquiring land going on smoothly. However, in a few cases, petitioners have given objections with regard to alignment, the location of metro stations and compensation. Our team is in constant touch with them to resolve issues amicably. Talking about sustainability, which is one of the core values of CMRL, are the officials looking to set up e-charging stations like the Hyderabad Metro. Power Gird in partnership with Hyderabad Metro has expressed the desire to set up a similar facility at Chennai Metro stations too. Have talks been initiated between CMRL and Power Grid? CMRL has already signed an agreement with Power Grid Corporation of India for the provision of e-charging at 4 metro stations. Further expansion to other stations is also in the anvil. In terms of ensuring passenger safety, what measures has CMRL taken to make sure commuters travel tension-free? Any special provisions made for women commuters? All metro stations have got 40-60 cameras at various locations in the station for the entire safety of women and other commuters. These cameras are monitored from each control room around the clock. In addition, each coach in the train has 4 cameras which continuously monitors and the same is recorded. A rapid action team of state police makes rounds of metro premises for additional safety. There is a separate compartment also for women commuters. To explore the complete interview please read our October Edition edition. The main question has not been asked. Why are fares so high inspite of such a low footfall? If fares are halved, passenger count would more than double. Revenue is same and cost would be slightly higher.